I used to love a blackberry green tea frappuccino from Starbuck’s. Of course, it’s long since discontinued. 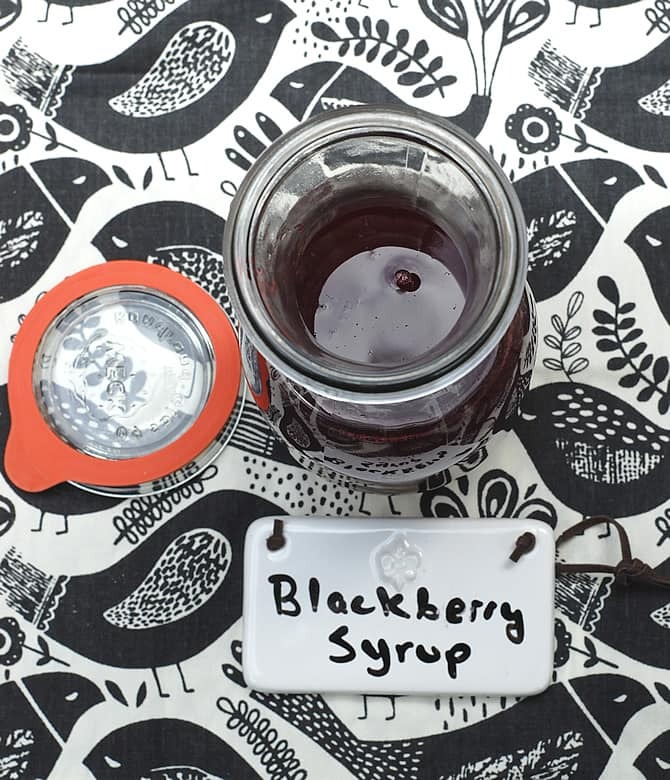 I’ve never been able to find a blackberry syrup at a store that came close, so I decided to make my own fresh blackberry syrup! 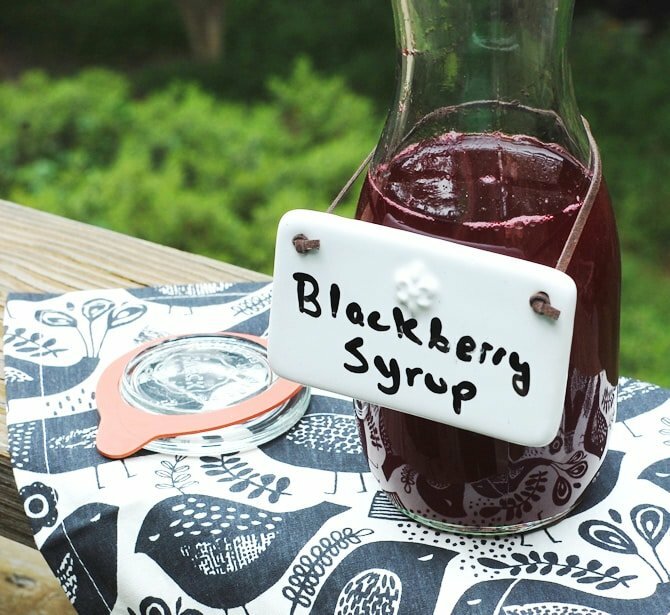 Unlike the store-bought ones that I thought tasted like weird chemicals, this recipes makes a syrup that tastes like real blackberries – imagine that! You can make this in the dead of winter with frozen blackberries and even give a few bottles for holiday presents. Also try making lavender syrup, blueberry thyme syrup, and while you’re at it give my butterscotch sauce a try. This syrup is amazing in iced black or green tea and it makes a nice soda if you added it to plain carbonated water. It’s also perfect with a little gin and lime seltzer. Try it with bourbon and lemonade too. 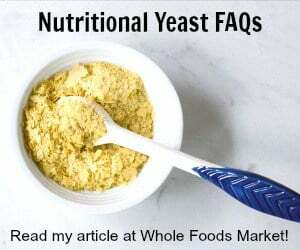 You could use coconut sugar, stevia or maple syrup (if that’s what you prefer to use as a sweetener). Cane sugar will make it thick and help it keep longer in the fridge. Coconut sugar will give it a bit of a brown sugar flavor that would be great with rum or bourbon. What’s your favorite fruit flavor for coffee or tea? 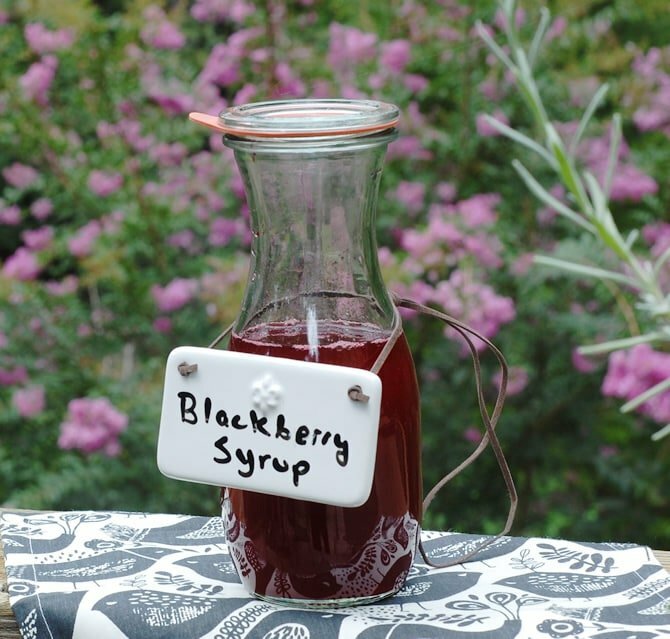 Save money and make your own syrups at home! 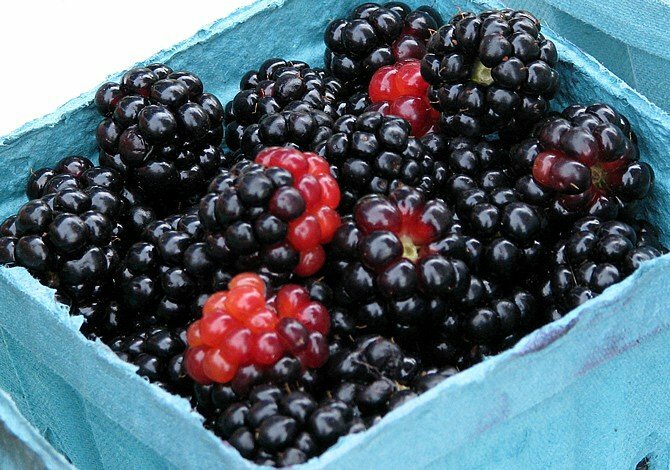 This one uses fresh blackberries, but you could use thawed frozen ones too. Put the water and agave in a saucepan and bring to a boil. Stir and cook until the agave is completely dissolved into the syrup. This will take about 2 minutes. Take the pan off the heat and stir in the blackberries. Mash the berries well to get all the juices out into the pot. Steep 10 to 20 minutes until the mixture cools. Strain through a fine mesh strainer to remove the blackberry seeds and mush. Store in the fridge for about 2 to 3 weeks. Use 2 to 4 tablespoons of the syrup in hot or iced tea. Homemade Blueberry Thyme Syrup for Vegan Cocktails and Mocktails Too! « The Best Gluten-Free Vegan Brownies Made With a Surprise 1-Ingredient Flour! I never heard of the drink, but WOW your syrup sounds amazing. I wonder if watered down blackberry jam would work? I’ve found brands that use just berries and sugar before. I bet it would. Fiction Kitchen, a veg place here, makes a cocktail with jam and it is delicious!